3. What is Erin Hanson's style of painting called? 4. Where can I buy your artwork? 8. Can I commission an oil painting? 9. How should I hang my painting? 10. Can I purchase a painting on layaway? 11. What sort of lighting should I have for my painting? 12. How do I contact the artist? 13. Can I buy prints of your work? Erin Hanson has been painting since she was a young girl. By age 7, she was painting in watercolors, acrylics, pen and ink. At age 8 she started studying oils at her school, and at age 10 her father hand crafted her a pine easel, which she still uses to this day. Always wanting to grow up to be an artist, Erin was very diligent in her studies of painting techniques. Growing up in a family of musicians, it was second nature for her to understand that "practice makes perfect." When she was a young teenager, she worked for a few years at a mural company, painting giant 40-foot murals in acrylics. Of course her style has taken a while to evolve, and it wasn't until 2008 that her painting style consolidated into the loose, colorist, open-impressionist style that it is today. Erin Hanson graduated from Delphi Academy in Los Angeles, with a semester scholarship to Otis College of Art and Design. Hanson graduated from UC Berkeley with a degree in Bioengineering. Q: What is Erin Hanson's style of painting called? Hanson's style of painting is the result of over 20 years of painting and experimenting with the medium of oils. Her style has developed through a concatenation of studies and passions, starting with a love of trees and plein-air paintings, working as an acrylic muralist, moving through Japanese painting and comic art, and finally landing on painting rocks (while rock climbing them in Red Rock Canyon for two years.) The chunky, abstracted style that emerged from painting rocks has had the most direct effect on her present-day pieces. Erin Hanson's style could be called contemporary impressionism, with a hint of abstract expressionism, and a dash of plein-air style. Hanson describes her work as "Open-Impressionism," implying that the traditional boundaries of impressionism are being pushed into a new style altogether, and also conveying the sense of capturing wide-open space on her canvases. Erin likes to paint with lots of heavy impasto brush-work, using the texture of the paint to communicate form and movement, instead of relying only on color and shape to tell a story. She paints wet-on-wet with fast, bold strokes, without layering or over-working the paint once it has been placed on the canvas. This creates a wonderful spontaneous feel to her paintings. Her vivid underpaintings create a glow and gleam to her paintings that catch the eye immediately. Erin Hanson believes that art should be pushing traditional boundaries into something new and exciting, the artists themselves constantly experimenting with new techniques and new ways to capture that elusive beauty called "nature." An artist should never become comfortable and predictable in his or her style, but always be fighting to improve. Therefore Open-Impressionism should be a growing field of new artists pushing the boundaries of taught technique and didacticism. Q: Where can I buy your artwork? There are several ways you can purchase artwork by Erin Hanson. This website will allow you to purchase original oil paintings and prints using a debit or credit card online securely through Paypal. A great way to meet the artist in person is to visit her booth at one of the many art shows she attends. You may also make an appointment to visit The Erin Hanson Gallery in San Diego, CA. This is the best way to see her newest work (still drying on their racks) before anyone else! 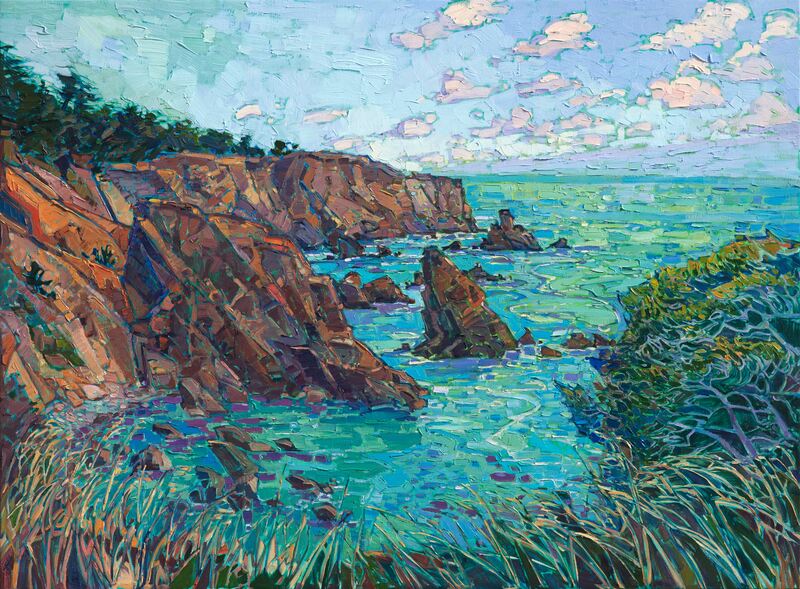 Erin Hanson also participates in solo exhibitions, pop-up galleries, and studio shows. You can purchase made-to-order prints of Erin Hanson artwork through this website. These canvas prints are the finest reproductions of Hanson's work available, printed with the highest quality archival inks and papers, all personally selected by the artist. We accept all forms of credit and debit cards, as well as checks. Credit cards are processed through Square Payments or Paypal. You may call us with a credit card number (all credit cards are accepted), or we can email you an invoice with a link to pay securely online. The phone number to reach The Erin Hanson Gallery is 858-324-4644. We charge local San Diego sales tax rates to all goods purchased through The Erin Hanson Gallery that are shipping to California. Items purchased in other states at an art fair or gallery event will be charged the local sales tax rate for that city. If you purchase a painting that will be shipped to another state or out of the country, you will not be charged local sales tax. For example, if you purchase a painting online that is shipping to Arizona, you would not be charged California sales tax. If you intend to resell the painting, as an interior decorator for example, you would just need to provide your reseller's certificate form to be exempt from sales tax. Return policy for original oil paintings: We fully guarantee that you will love your Erin Hanson original painting! We accept exchanges for original oil paintings for any reason within 30-days. We do not offer refunds on original artwork. Return policy for prints: Every Erin Hanson canvas print is made to order. We offer a 30-day exchange policy, where you can return the print for any reason within 30 days, and we will send you a different print as a replacement. If you wish to exchange your print, you are responsible for paying the return shipping, and the print must arrive in good condition for an exchange to be processed. We do not offer refunds on prints. If your print arrives damaged in any way, please email prints@erinhanson.com, and a replacement will be sent to you immediately. Q: Can I commission an oil painting? Please contact The Erin Hanson Gallery to inquire about commissions. Erin accepts commissions on projects that interest her. Q: How should I hang my painting? Your painting will arrived framed and ready to hang. There will be a hanging wire already fitted to the back of the painting. The best way to hang your painting is to use two hooks set about 6-12 inches apart (this helps to keep the painting level.) 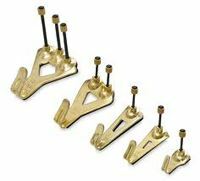 Home Depots and other hardware stores sell great picture hanging hooks (link here) that are cleverly angled so they can support the weight of a painting on a single nail. Q: Can I purchase a painting on layaway? Absolutely, Erin Hanson has been offering layaway successfully for many years. The terms are flexible and can be discussed with the gallery. Usually we split the total cost of the painting into 6 or 12 payments, and the first monthly payment would be taken as the holding deposit. If you fall in love with a painting, Erin would love to work with you to make it easy to purchase! Q: What sort of lighting should I have for my painting? Your painting will look different depending on what lighting you have for it. Natural ambient light will create a nice feel for your painting during daylight hours, subtly changing as the sun rises and sets during the day. At night, however, you will be fully reliant on artificial light. I am sure you have noticed how great paintings look in a gallery setting. Art galleries will use warm or cool-toned spot lighting to bring out the colors in certain parts of the painting, intensifying the light on the painting's center of attention. You can imitate this effect in your own home by installing halogen directional spot lighting in the ceiling above your painting. These lights are surprisingly inexpensive to install (an electrician can install them in a few hours), and if you wish you can purchase the fixtures yourself online. 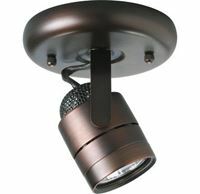 There are many options for low-wattage spot lights and LEDs, as well. We recommend Soraa LED bulbs, which we have personally tested and use in The Erin Hanson Gallery. Many houses are already fitted with some sort of recessed ceiling fixtures. These can be adapted to directional spot lighting with minor handyman work. Even without direct lighting on your painting, however, the artwork will still look great with nearby incandescent lighting. The one thing you want to avoid is hanging your painting behind a hanging chandelier, which will cast a direct glare spot in the middle of the painting, without highlighting the natural colors and texture of the painting. A light that is angled from above will allow you to experience the thick brushwork, perceive each subtle variation in color, and truly enjoy the painting in a whole new light. Q: How do I contact the artist? Please contact Erin Hanson via email, contact@erinhanson.com, or phone her gallery at 858-324-4644. You may also use the contact form on this website. Unless Erin is backpacking in Zion or rock climbing in Maple Canyon, she will get back to you the same day. Q: Can I buy prints of your work? You can purchase canvas prints of Erin Hanson's works on this website here. Erin also sells signed 16x20 prints at her art festivals and limited edition prints at The Erin Hanson Gallery. Erin Hanson and Red Rock Fine Art, Inc. seeks to protect the security of your personal information both online and offline. All credit card transactions are secure. Every on-line order is encrypted and sent through a secure server, using SSL technology to prevent information from being intercepted. Erin Hanson and Red Rock Fine Art, Inc. does recognize your ISP (internet service provider), however, we cannot identify you as an individual. If you make an on-line purchase we do collect information (such as sales statistics and traffic patterns) to help improve your shopping experience. We keep all information confidential. We also use web beacons to help deliver cookies and gather usage and performance data. Our website may also include web beacons and cookies from third-party providers. • Google Analytics – we use Google Analytics to collect data about website usage. This data does not include personally identifiable information. • Google Remarketing – we use Google’s Remarketing cookie to market products and services we think may be of interest to you. You may see our advertisements on Google’s Display Advertising Network of partner websites and Google’s own search results pages. We aim to carefully select the products and services we remarket to you, and do so based on the pages you have visited on our website. To opt out of Google Remarketing, set your Google Ad Settings here: https://tools.google.com/dlpage/gaoptout.